jaritt is using Smore newsletters to spread the word online. 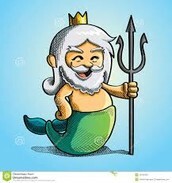 in Joel Skidmore mythweb.com Poseidon is one of the most significant god in Greek mythology because of his anger problems, but a caring person with tons of power. Poseidon who is the god of the ocean. But also the god of earthquakes and horses. He is also one of the supreme god of Olymus with he's brothers Zeus and Hades. The first reason that he is anger problems is because when he’s mad he will destroy ships and flood cities. Next is that he is also caring about his sons like Polyphemus when he was blided by someone. so Poseidon had the man have a longer way home in his ship because of what he did to his son. 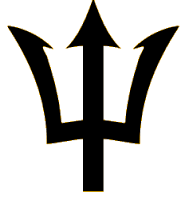 Lasty that his is powerful because of his trident with that he has the whole ocean at his finger tips for him to do what ever he wants when ever he wants. “His weapon is a trident, which can shake the earth, and shatter any object” (J.M.Hunt). Lastly, Poseidon is a powder keg almost going to blow up because of the little things and get in fights, but he can be a loving father to all his children and the powerful king of the ocean that can make storms just with a touch his trident. The impact he had on Greek Mythology is that he is the god of the oceans of the world and helped, destroyed many people in he’s waters and that he is one of the big three gods. This site is dedicated to the heroes, gods and monsters of Greek mythology. "Cute Poseidon." Dreamstime. N.p., n.d. Web. 15 Nov. 2014.